I’m Tara Buck, the creative behind the design. I’m a designer, wife, dog-mom, and a lover of all things by and about the sea (except jellyfish—they are terrifying). I’m an avid wine lover, makeup/skincare addict, and comfy pants collector and advocate. I also have this thing for New Jersey. Say what you will (though it will fall on deaf ears, in this case), but New Jersey has so much to offer, so much culture, opportunity, and passion…and the beach. 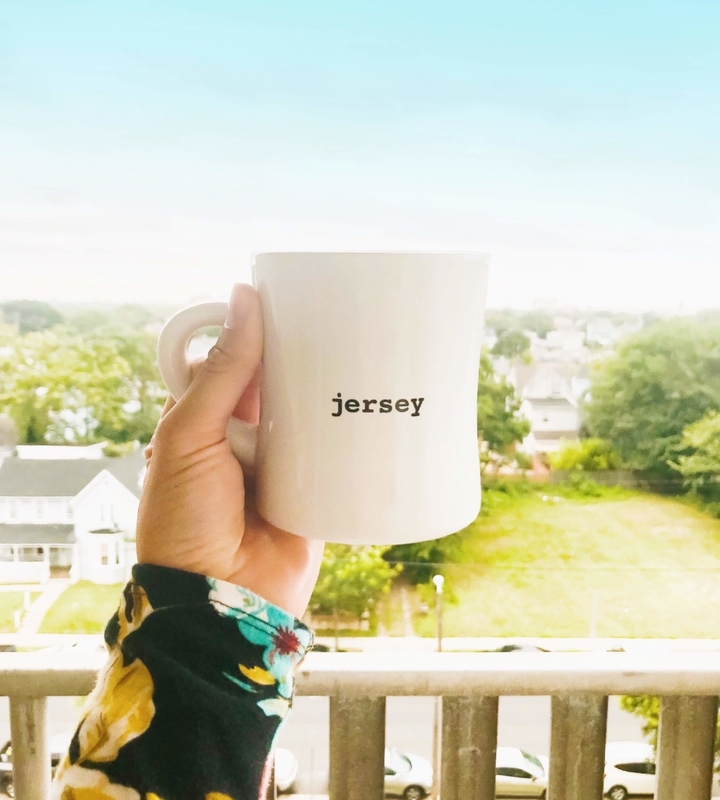 I may have moved, but I’m a Jersey girl forever. I’m pretty bad at these “about me” things, so here are some more fast and fun facts: I almost never have my picture taken, I feel weird asking and usually don’t love it. I live for a good cup of tea, I have an entire cabinet dedicated to good tea. I’m a natural morning person, no coffee needed. With that, I’m not a night owl or a go-out-to-the-bar kind of girl. I love to host parties at our house with our friends. We always joke that we host the parties so I can drink wine on my own couch, a favorite past time of mine, and so that I can throw Lando (my dog) a party, he loves company. So, how did I get here? I got into this design world and business by chance. Picture it, the year is 2011. I was walking down the aisles of Bed Bath and Beyond when I saw a beautiful set of paintings, but it was not the paintings that caught my eye (though they were beautiful). It was the little bit of packaging and logo design holding the paintings together. It was if all of the pieces of the design puzzle just came together. I wanted to do that. The next week, I researched more and more about this “graphic design” thing. What was it? How do I do it? That next week I switched my major from Psychology to Design and never looked back. I guess you could say I found the “Beyond” from that journey to Bed, Bath, and Beyond, eh? It was fun, it was exciting, and it was something that filled me with joy and love (and most importantly, passion). From that very moment on, I knew I wanted to share that passion with others. Why should I sit around and have all this fun by myself? Thank you for being here, thank you for learning and growing with me, and allowing me to try new things, explore new opportunities and really just live my best life.